If you think you need a honey bee removal, check out >this page< or >this page< to confirm that you have honey bees. If the ‘bee’ has yellow legs and/or yellow face, it is not a honey bee. 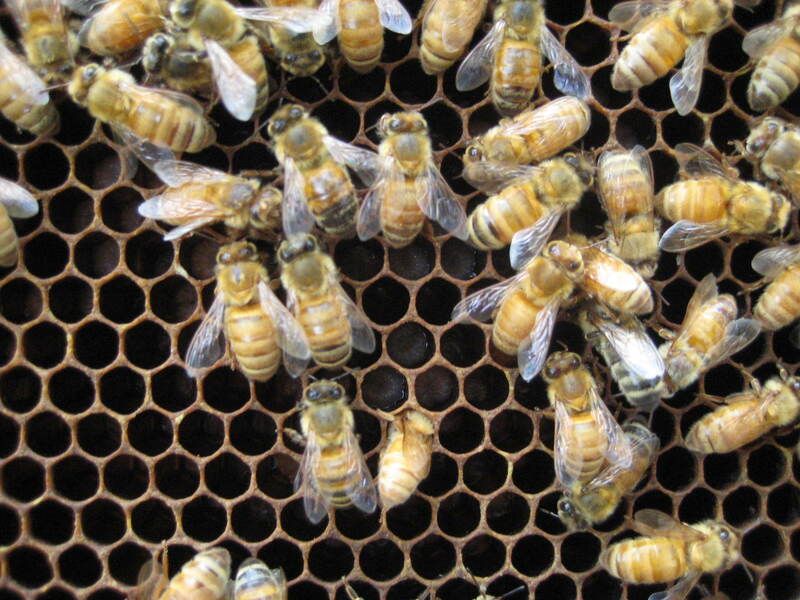 If the ‘bee’ has no hair/fuzz, it is not a honey bee. If the ‘bee’ has a thread-like waist, it is not a honey bee. If it is black and bright yellow, it is not a honey bee. If they are flying in and out of a hole in the ground or a railroad tie, they are probably not honey bees. Lefthand photo by Downtowngal (Own work) [CC-BY-SA-3.0 (http://creativecommons.org/licenses/by-sa/3.0) or GFDL (http://www.gnu.org/copyleft/fdl.html)], via Wikimedia Commons. Righthand photo with permission of B. Buckley.